Jailbreak iOS 11- There are number of people who has number of questions about jailbreak and still confused about its use. So this article contains all answers about jailbreak so you just have to read the article in order to clear your mind about jailbreak. There are number of restrictions inflict by producer of iPhone which make you unable to access some software. In order to get access to all the features the process is used which is called jailbreak. Jailbreak is not illegal according to the Digital Millennium Copyright act. So you are free to jailbreak your devices such as iPhone, smart TV’s and others. It provides you complete access to the software which is restricts by the developers of iphone or ios. You can enjoy more features, apps, themes and much more. It can manage files and take permission to install the apps by itself. The worst about it, it takes large amount of power consumption. Your device is at risk because it lowers down the security of device. Your device cannot be updated until the new jailbreak system is launched. So now the question is how to jailbreak iOS 11? Jailbreak ios 11 is strong one as compared to previous ones. But for safety we must need to take the following steps before doing jailbreak ios 11. Firstly you should install IOS 11 in your device or must be updated in case if you already hae it. In this step you need to make back up of your data so that you could not loss any of your data during jailbreak. By using WinX MediaTrans you can easily makeback up of your files. Tap to settings then go to touch ID & pass code then click fingerprint 1/2/3/4/5 and delete them. Then go back to touch id and passcode and turn passcode off. Now you need to go in settings again then tap to iCloud and then turn off find my phone option. Step no 1: Download the jailbreak in your device. Step no 2: Now you need to connect it to your device. Step no 3: Launched Lydia impactor and drag .ipa file into cyda impactor. Step no 4: here a dialogue box will appear. Enter the required details in it. Step no 5: Cydia impactor make you able to install the jailbreak in your device. Step no 6: after the completion of installation process you will find an icon name “mach-portal” on your display. Step no 7: Now go to settings and then tap to general and then profile. Enter the app named or tap to trust. Step no 8: Now go back to your mach-portal icon in order to start working of jailbreak on IOS 11. After that cydia will display on your screen which means it works successfully on your device. 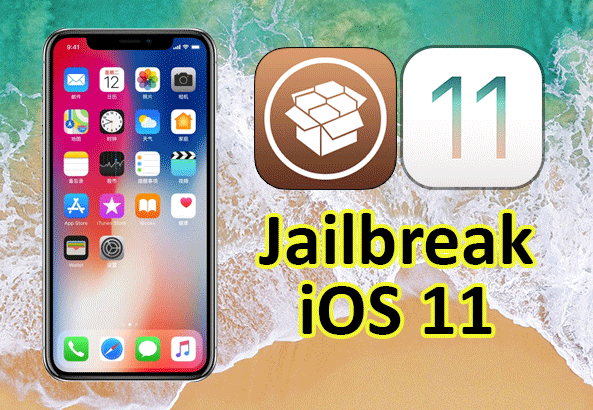 Now you can Jailbreak iOS 11 On iPhone X, iPhone 8 or any your device and get restricted apps easily. If you have any questions regarding the article you can ask in comments. Share your ideas and visit our website for more updates. Best Video Compressor: Compress Video File Size Without Losing Quality?